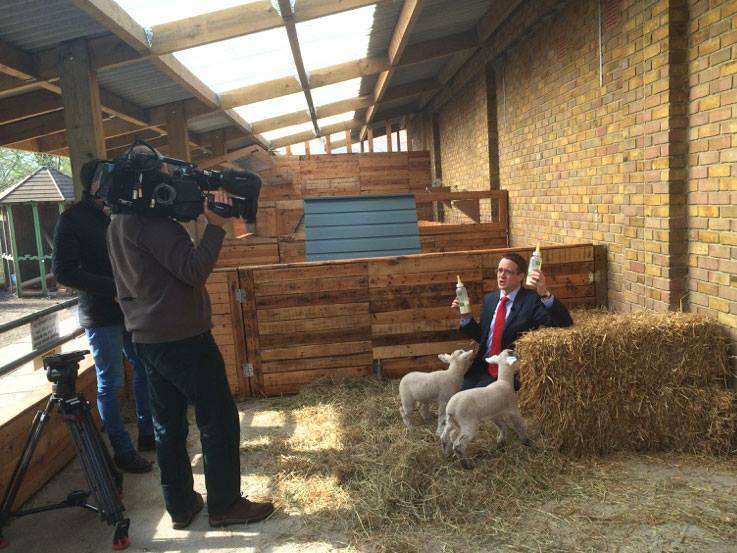 Our orphan lambs have caught the eye of the cameras! BBC film crews have been on site with little Bo and Belle, filming first for BBC This Week, then for the BBC News at Six. The BBC This Week episode aired on the 9th of April and features not just our lambs, but some fantastic view of the farm and its residents! You can watch the entire episode on iplayer here and we feature from 20:15.